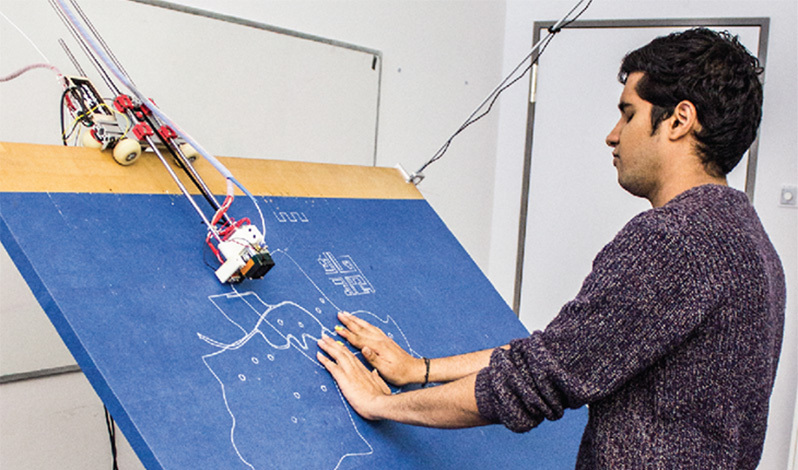 Linespace is a 3D printer head attached to a large canvas. By moving over the surface it leaves traces of plastic that can be discovered by the blind user. 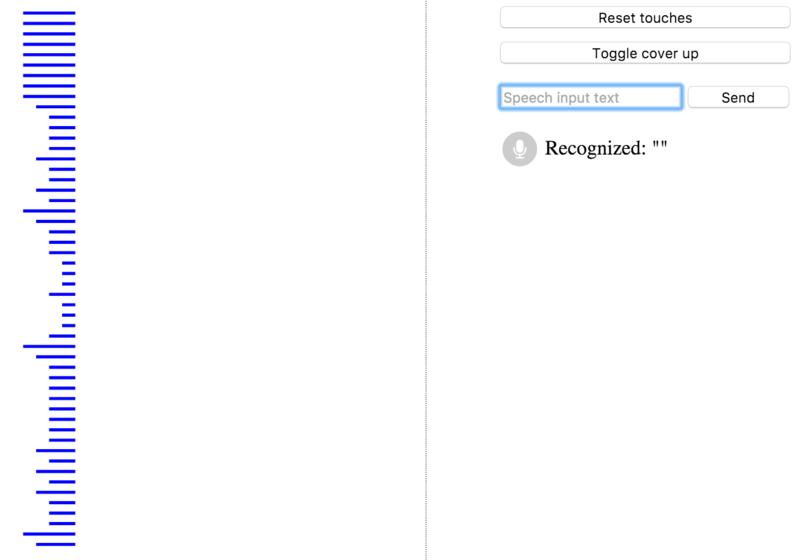 Interaction is supported by speech recognition and text to speech. Haptic-Coding is for blind programers who are dissatisfied with current debugger solutions. Code is printed in a very simple form on the board and is outputed using text to speech. The user can interactively debug another linespace application.